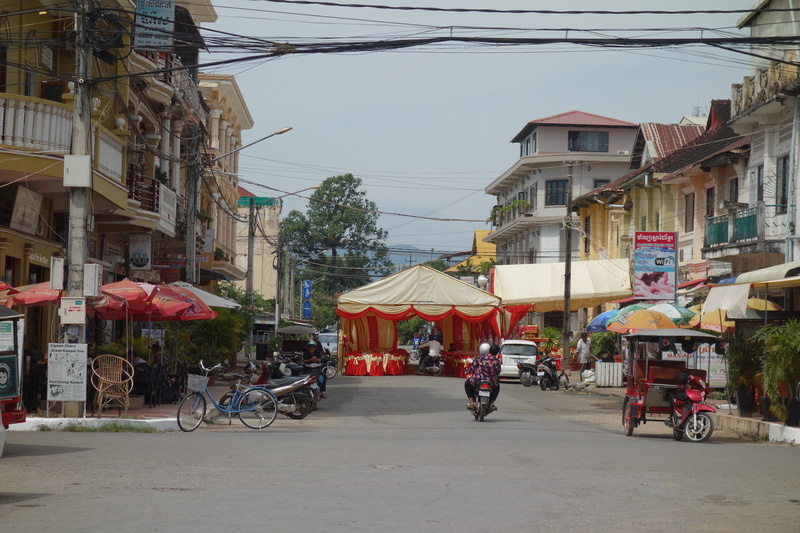 This is how they do weddings in Cambodia. They erect tents on the side, or in the middle, of a busy street. They then blare music all day long, long before the guests arrive.